AFC East Breakdown and Predictions: Will The Patriots Success Continue? | NFL News, as it happens, when it happens. Your one stop shop. AFC East Breakdown and Predictions: Will The Patriots Success Continue? The AFC East for a long stretch of time has been ragged on for not being very relevant, outside of the New England Patriots. Some followers have discounted the Patriots reign of success because of the lack of competitors in the division. However, this past offseason there was a great amount of turnaround on all four teams within the division, which should make things a lot more interesting this upcoming season. So without further a due, here is my full breakdown of each team in the AFC East, with with a prediction of their final record and playoff standing. New England Patriots: Once again the New England Patriots enter the season as the favorites to win the AFC East. Nevertheless, with the departures of Darrelle Revis, Brandon Browner, and Kyle Arrington the secondary is now a work-in-progress that could cost the team some games early on in the season. In addition, with Vince Wilfork signing with the Houston Texans and Dan Connolly retiring, both sides of the line of scrimmage are in a transition period with a lot of young players that are still a bit unknown. If the Patriots offensive line can figure out some early struggles, like they did very well last year, the offense as a whole should be very explosive. With weapons such as Danny Amendola, Julian Edelman, Rob Gronkowski, and Brandon LaFell all with at least a year or more in the Patriots system under their belt, the offense should be able to move the ball up and down the field very effectively. Also, the offense should not have to pick up the slack for the defense constantly if the front seven of the defense lives up to their potential. With young talented players on the rise like Dont’a Hightower, Jamie Collins, and Jabaal Sheard, along with unproven players such as Dominique Easley and Chandler Jones with potentially high ceilings the front could carry the defense and allow Bill Belichick to, “turn the dogs loose.” Something they haven’t been able to do for a long stretch of time. Prediction: 12-4, second spot in AFC Playoffs. 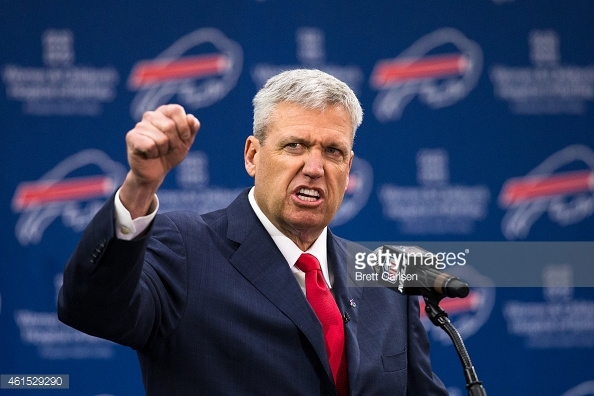 Buffalo Bills: Certainly one of the most talked about teams in the offseason, the Buffalo Bills are now filled with all sorts of bravado with new head coach Rex Ryan. Buffalo added tons of fire power on offense, with continued additions to their already strong defense. With Mario Williams, Kyle Williams, and Marcell Dareus plugging up the interior, with an extremely talented player such as Jerry Hughes coming off the edge, the Bills should cause all sorts of headaches for opposing quarterbacks. The secondary still has some question marks in Buffalo, but Rex Ryan has been known to make up for a weak secondary with his phenomenal pass rush. The Bills offense can be described with in one word, speed. With speedy wide receivers such as olympic track star Marquise Goodwin, along with Percy Harvin, and future superstar Sammy Watkins the passing game has some burners that can really stretch the field. To add to the insanely fast wide receivers, the Bills added Lesean McCoy via a trade with the Philadelphia Eagles. McCoy along with grizzled veteran Fred Jackson will contribute greatly to Rex Ryan’s run heavy offense. Also, McCoy can come out of the backfield and be effective in the passing game. The biggest question for the Bills this season is the quarterback position. A three-way competition has spurred throughout training camp between Matt Cassel, EJ Manuel, and Tyrod Taylor. None of those three will strike great fear in any opposing team, especially the New England Patriots who are their biggest competition in the division. Unfortunately, their lack of quarterback talent will lead to their offense not reaching their full potential. Prediction: 10-6, sixth spot in AFC Playoffs. New York Jets: Much like the Buffalo Bills, the New York Jets have added a lot of new talent to the roster along with some old friends. The biggest additions of course being Darrelle Revis, Antonio Cromartie, and Brandon Marshall. In addition, the Jets now have a Todd Bowles as head coach who was the architect of the defense in Arizona that is now one of the league’s best. 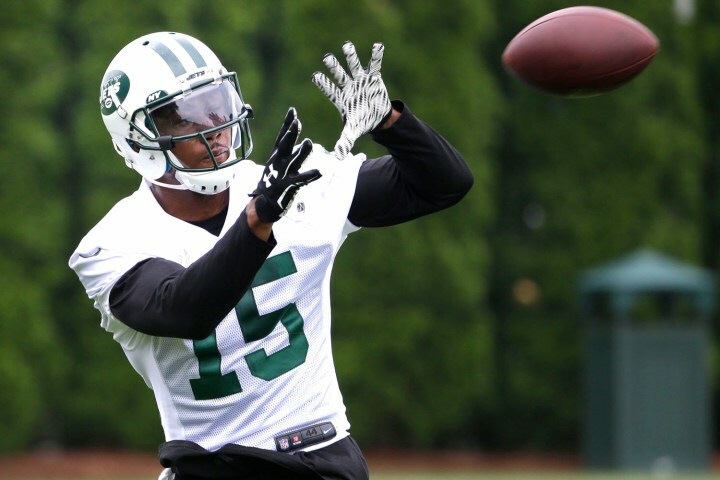 On offense, the Jets have a plethora of weapons starting with an elite wide receiver such as Brandon Marshall whom they acquired through a trade with the Chicago Bears this past offseason. Marshall is a freakish athlete that is a threat to score anytime he is on the field. The only problem is keeping his head on straight. To compliment Marshall the Jets have a solid veteran in Eric Decker and promising rookie Devin Smith, who was a great player on Ohio State’s national championship team last year. Again, the Jets biggest question mark will come at the quarterback position. With Geno Smith now out for a long stretch of time, the team will have to rely on veteran cast off Ryan Fitzpatrick to lead them. That is something that fans of the Buffalo Bills and Houston Texans will tell you not to be over confident about. On defense, the Jets have possibly more all around talent than any team in the National Football League. When you have the best cornerback in the game in Darrelle Revis on your roster, you can do all sorts of things because he essentially takes away the opposing offenses number one target. On the other side of Revis, the Jets have Pro-Bowler Antonio Cromartie who is also a menace for quarterbacks and wide receivers to deal with. Based off of those two players alone the Jets should have a top three secondary. In addition to their secondary, the front seven of the Jets will be one that can get to the quarterback. With Muhammed Wilkerson coming off the edge, and first-round pick Leonard Williams who was considered to be the best overall player in the draft. In the end however, the Jets will probably not live up to there potential simply because they are the Jets and their locker room is already starting to collapse. With Sheldon Richardson likely out for the season because of his antics, and Geno Smith not commanding the respect of his teammates, Todd Bowles already seems to be letting the inmates run the asylum. That is something that has not bode well for former head coaches of the NYJ. Miami Dolphins: The Miami Dolphins have given the New England Patriots the biggest run for their money over the past couple of seasons. Head coach Joe Philibin has been able to keep his team in the playoff race until mid December, and then his squad falls apart. This was never more evident than last December when they had a chance to make a statement against the Patriots in Foxborough. The Dolphins came out with zero energy and fell flat on their face getting walloped by a score of 41-13. 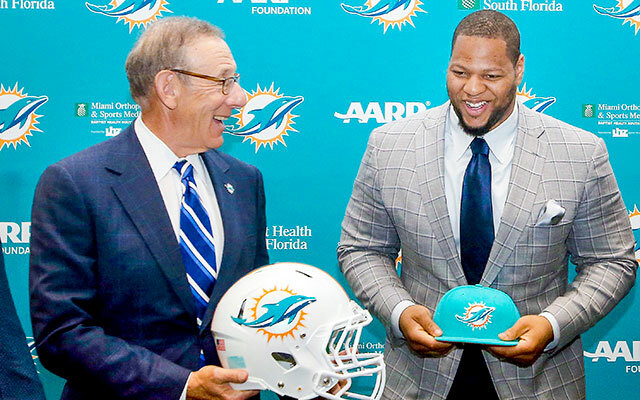 This past March, Miami made arguably the biggest move of the offseason by signing perennial Pro-Bowl defensive tackle Ndamukong Suh to a six-year, 114 million dollar contract. Their defensive line should be able to get in the backfield with ease with Cameron Wake coming off the edge, and Suh up the middle. Furthermore, the Phins extended fourth-year quarterback Ryan Tannehill to a six-year 97 million dollar contract extension. Therefore, the Dolphins are spending big cash to protect their most valuable assets. However, when you spend big money like that you can be left vulnerable at other positions. For example, Miami continues to have a weak offensive line, in a division with three stout defensive fronts. What good is your expensive quarterback if you cannot keep him upright. Also, the Dolphins offense is not exactly filled with offensive power, and Tannehill is not the type of player that can make players around him exceedingly better. Overall, the Miami Dolphins on paper seem to have a very talented roster, but they just don’t have the coaching. That will be proven this year once again when Miami fans are disappointed that their team is golfing in January once again. Previous PostDeconstructing the AFC East: The DolphinsNext PostNew England Patriots Player Profiles: Will Brandon LaFell Have Another Successful Season?